In the Fall 2015, the Max Plank Institute for Intelligent Systems presented an apparatus, which allowed to combine a motion capture-based 3D model of a moving person with the photographic capture of his body 1Federica Bogo, Michael J. 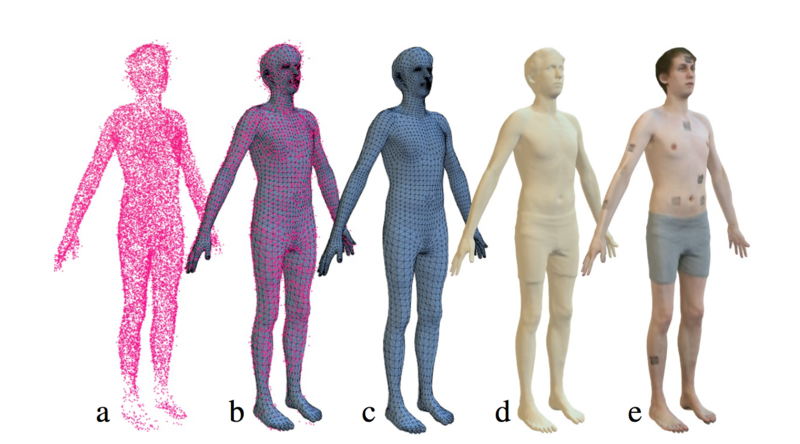 Black, Matthew Loper & Javier Romero, “Detailed Full-Body Reconstructions of Moving People from Monocular RGB-D Sequences“, International Conference on Computer Vision (ICCV), December 2015 The resulting photographic 3D model, which we are here more interested in on a conceptual than on a technical level, effectively associates two historically discreet systems of representations - photography and computer modelization. While the first is associated with the concept of recording reality (i.e mimesis), the second arises from a mathematical and computational process following predetermined parameters (e.g. a rendering of an architectural model) and delineates a fictive object. Since the earliest 3D vector models created by artist-engineers such as Ken Knowlton or Manfred Mohr in the 1960’s, these two representational systems have remained mutually exclusive, despite increasingly realistic 3D renderings in recent years. But since the generalisation of digital technologies, numerous phenomena have bridged the apparent gap between these two systems. On a technical level, the development of mobile phones with GPS tagging, stationery 3D scanning, distant laser scans, photogrammetry, VR or the creation of 3D models with drones creates entities, which combine the notion of mathematical model and capture of reality. Augmented with metadata whose crucial importance has been pointed out by Lev Manovich in 2002 as “a new paradigm to ‘interface reality’”,2Lev Manovich, “ ‘Metadating’ the image ”, in Lev Manovich (ed.) Making Art of Databases, Rotterdam, V2 Publishing, 2003 the photographic image expands outside its two-dimensional boundaries, interrogating the very notion of image itself. 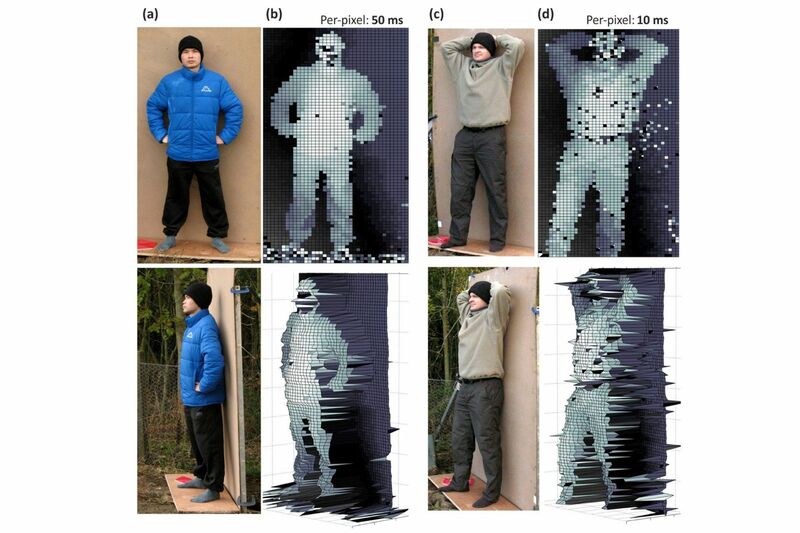 The collusion of 3D models and photographic representations, also emerges as a symptom only incidentally connected to technological developments. It reflects new ways of conceptualizing and recording space, foreseen by Jonathan Crary in 1992: “The formalization and diffusion of computer-generated imagery heralds the ubiquitous implantation of fabricated visual « spaces » radically different from the mimetic capabilities of film, photography and television (…) Most of the historically important functions of the humans eye are being supplanted by practices in which visual images no longer have any reference to the position of an observer in a « real », optically perceived world”.3Jonathan Crary, Techniques of the Observer: on Vision and Modernity in the Nineteenth Century, Cambridge (Mass. ), MIT Press, 1992, p. 1-2 An early example of this collusion can be found in the bullet time effect, famously featured in several key scenes of the 1999 science-fiction film Matrix. Recorded by multiple cameras, whose images are sewn together by a computer, the scenes are shown from a fluid point of view, whose mobility only exists in video games and more generally CGI programs. The director can suddenly move around in real space, freely choosing camera angles and perspective, while the action unfolds. This symptoms of a rendered conception of reality have become ubiquitous, from Christopher Nolan’s Inception (2010) to video-game like drone footage of the Syrian war. In recent years, numerous artists associated with the post-internet art label have given a material form to the two dimensional photographic image, translating the codes of the “virtual” digital realm into the three-dimensional, physical world (i.e the concept of New Aesthetic coined by James Bridle). That development obviously reflects an increasingly hybrid conception of reality, where physical and virtual merge. But this convergence also challenges our comprehension of the concept of image as depiction of (physical) reality, and mediates a radically new understanding of what “reality” might be. As Oliver Laric’s 3D printed 3D scans of classical statues tautologically hints at, our conception of space and reality have considerably changed and, to a certain extent, been outsourced to machines. Claus Gunti is an art historian mainly focussing on digital imaging technologies. He teaches at écal and at the University of Lausanne. His upcoming book Digital Image Systems. Photography and New Technologies at the Düsseldorf School is due in September (Transcript, 2017).